he easiest way to access much needed or desired content such as the next program of your favourite television series, or a brand-new series everyone is talking about or just the latest music, is by downloading torrents, which allows users to bypass restrictions. Even though torrents are a popular method used by many people, torrents are illegal in some countries around the globe, and torrenting is considered a criminal activity. By using torrenting individuals violate copyrights, and could get caught for breaking other laws while it is a high-risk activity that could open up systems to malware, viruses and other kinds of software infections. There are a few precautions that can reduce the risk factor as well as protect systems from viruses’ while at the same time it users can avoid getting into trouble for downloading pirated or illegal material. Although it is not a guarantee that each experience would be virus free here are some of the options available to individuals wishing to use torrenting. Getting a safe torrent file is the main objective to avoid downloading viruses or corrupted files. In determining if the file is a safe option, it is important to read the comments and of none of the comments from other users include complaints regarding malware or viruses it could indicate that others are satisfied that the particular file is virus free. Any talks or mention of hidden corruption or viruses are a clear sign to move on. Executable (.exe and others) as well as cracked programs (.bat and others) are mostly more prone to be virus infected and are best to avoid in torrent file types. Not all .exe or .bat files are corrupted as many are perfectly safe, while they are at times the most common to have corruption of viruses. The best option available to torrent users is the installation of antivirus software, able to protect systems from all kinds of threats and viruses that could be hidden within torrent files. The use of antivirus software is a must for all internet users even when torrenting is not a regular activity. Generally used programs such as Windows offers default antivirus software such as Windows Defender Software while several other programs for antivirus protection is available including popular options such as BitDefender and Kaspersky. The Windows default defender is generally great for detecting malware, Trojans, and other viruses and it is always advised that only one antivirus product should be used since many slow down systems and could clash. By joining a private torrenting community, individuals that often use torrent can avoid viruses or malware, since the sharing of files is then done in the torrent community. Torrent community members are all looking for uncorrupted files, and by sharing their files infected file sharing is avoided, and sharing takes place in a trustworthy environment. Torrent files that are corrupted or infected are discovered and removed much quicker as torrent communities warn all members, which eliminates the danger of downloading malware or even ransomware. Joining a private torrent community could be challenging as membership is by invitation only. The best way to get accepted is by knowing one of the existing members or by trying to befriend someone that is a member to gain an invitation. Torrent files with several seeders basically offer a type of insurance that the files are virus free since it has been installed by many others and the files were checked and found virus free before re-sharing took place, even though it is not the most legit option to check or confirm virus-free files. Files with seeders also offer other benefits and it significantly shortens the list of dangerous file sharing, since it almost always offers faster transfers and the files download at increased speeds, which ultimately means shorter periods of exposure to the downloader. While online torrent users are torrenting files their IP address, is exposed to all users who share the same torrent, necessarily as it assists the torrent client to connect users together. Again, this is one of the main reasons why torrent communities are a safer option since the biggest danger is that users IP addresses are not only exposed to other torrent sharing users but could also be accessible to organisations that track torrenting activities and traffic. More on IP leaks here. Originations tracking torrent traffic could include intelligence services or agencies, copyright enforcement agencies or Internet Service Providers, which could have huge legal implications. To avoid torrent related detection, multiple steps can reduce the risk of being detected and at the same time avoid throttling of transfer speed from Internet Service Providers, which is offered by VPNs. 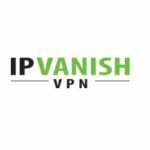 VPN software is a favourable option for torrent users, and by sighing up with one of the top VPN providers, it might mean a low monthly cost although what is offered in return is complete anonymity of internet activities. It is by far the safest and most secure option for torrent users although VPN services are not limited to torrent use and offers an array of benefits to all internet users. VPNs are used by security conscious internet users who prefer to remain anonymous during all browser activities. Internet Software Providers are unable to track any browser activities, any downloads did during VPN use from websites and can also not track which sites were visited. During torrenting the use of a VPN service allows users to select from which country or destination they wish to connect, and an alternative IP address is used, which hides the location and identity of the downloader. 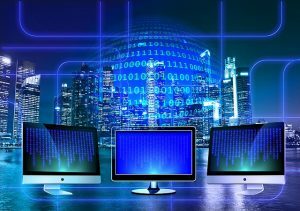 It could be a bit more challenging to find a VPN service provider that specifically caters for torrenting needs since not all VPNs offer complete protection during P2P file sharing activities, yet several do, and therefore our VPN reviews indicate which services are best for P2P file sharing. While VPN use is hugely recommended users need to accept that their internet or downloading speed could be affected due to the strong protection. The huge upside of VPN use is that providers keep no logs on any activities including torrenting. The other option available to torrenting users could be to install PeerBlock. One of the other options available to active torrenting users is the installation of a PeerBlock program. PeerBlock programs prevent IP address trackers from identifying torrenting activities relating to your IP address since it does not show your IP address or IP location. With Peer Blocking the Internet Service Provider will still be able to track activities such as torrenting although third-party trackers will not be able to see the IP addresses of anyone using PeerBlock. Torrenting activities could be illegal in some parts of the world while it is illegal everywhere once the content that is downloaded is copyrighted content, the intent of use could further influence the lawmaker’s decision to punish the activity, especially if it is for mass distribution purposes or commercial use. The law for copyrighted content or materials is that the files could only be downloaded once the brand or original owner gave permission prior to the downloading of the file/s. In the Netherlands, if is legal to download movies or music for personal use although software downloading and sharing copyrighted material is illegal. Laws regarding torrenting changes constantly and the best way to remain anonymously is the use of VPNs. There are several ways available to individuals who wish to torrent privately, safely and anonymously. It is still necessary to read up or do research on torrenting laws of your country regarding P2P sharing and other torrent activities. The best way to enjoy anonymous internet activities is by using a VPN service, which guarantees no logs, Internet Service Providers can’t see or track any activities, and by masking IP address and IP locations, VPNs also offers protection from hackers during the torrenting or P2P file sharing period. VPN use benefits also include protection during public Wi-Fi hotspot connections, the unblocking of geo-restricted websites and in countries where social media sites are banned, VPN use can provide users with access to websites such as Twitter, YouTube, Facebook, and WhatsApp. 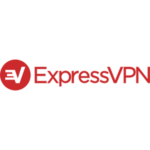 The monthly cost of VPN services is well worth the protection and safety it offers while several providers allow new users to test the services via a free trial period. VPN use is legal in most countries although it is illegal in Russia, Iraq, China, and Turkey. The best option is to find out if VPN use is legal in your country and then to find the one most suited for your requirements.